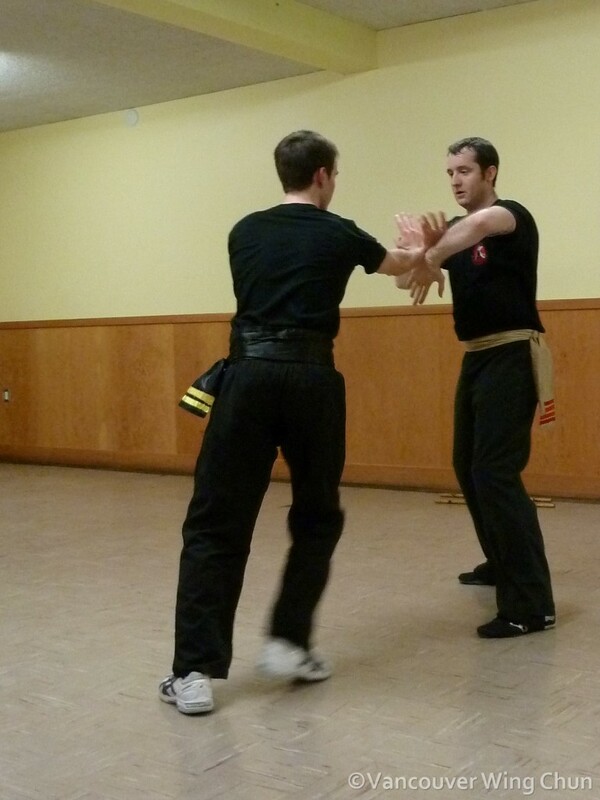 There are many opinions on what form the principles of Wing Chun Kung Fu. The list below is simply my interpretation of them, as observed through the lens with which I view Wing Chun and the world in general. Everyone will have a slightly different take on the principles of Wing Chun, as they are abstract, concepts and ideas, rather than concrete things or techniques (though there is equal, if not more, variation in techniques than in principles). Some practitioners break the principles up into major and minor groups, some list as many as 10 principles while others list as few as 4. Below is a description of each of the principles of Wing Chun Kung Fu. If something is simple, it is more likely to work, less likely to fail. This first principle (as well as the last principle) is the most abstract, but the most important. Simplicity is the glue that holds the system together, and it’s the criteria by which techniques can be tested. Simplicity forms, and is contained within, all the other principles. If something is simple, it is more likely to work, less likely to fail. Simple (gross motor skills) will work better when you are adrenalized, as fine and even complex motor skills deteriorate with the adrenal response. 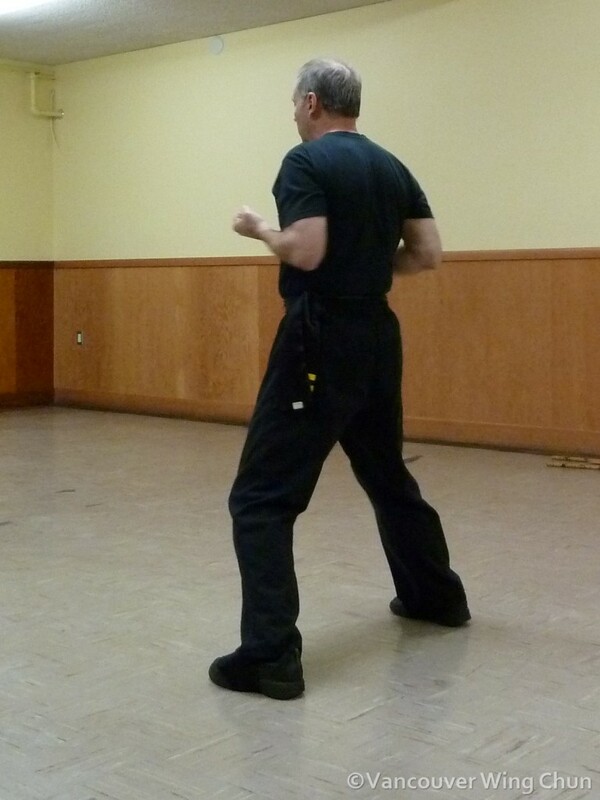 Simple is easier and faster to learn, making Wing Chun accessible to people of all levels of coordination and fitness. We are most effective at dealings with things directly in front of us. This principle is relatively straightforward. We are most effective at dealings with things directly in front of us. We can bring more of our resources (strength, structure, and awareness) to bear on those things directly in front of us, and more specifically on our centreline. The centreline is the axis that runs from the top of your head down and through your belly button. It’s basically the line that cuts your body in half, the right side from the left. When we utilize the centre, it takes less effort to be effective. Structure is basically the alignment of one’s body. 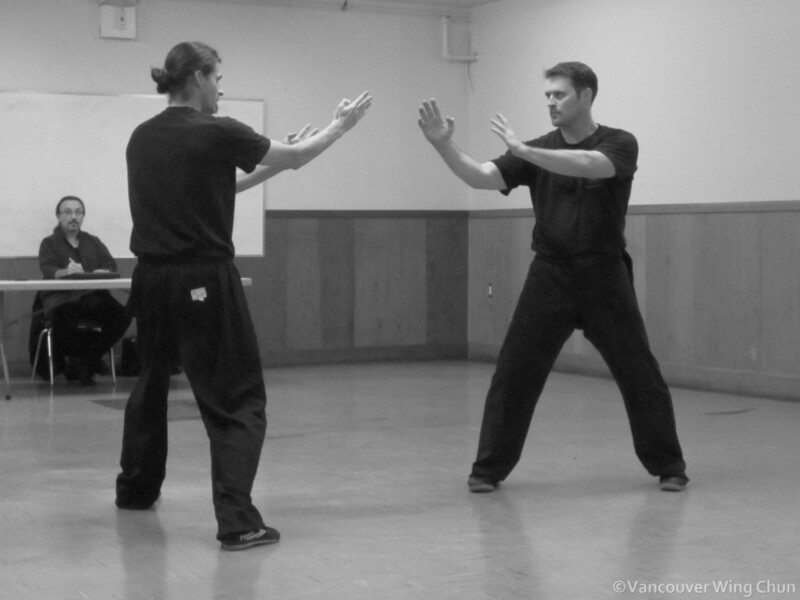 Structure is the foundation for using Wing Chun effectively and efficiently. Without structure, the next principle (forward intention) is ineffective, inefficient, or both. Structure is basically the alignment of one’s body. It takes into account a balance between natural body positioning, posture, mobility, and stability. And it starts, as does any structure, from the ground, up. When we find and practice our natural structure, we create a foundation that supports the rest of our Wing Chun practice. Forward intention is the idea that we always strive to move forward. Forward intention is expressed in two ways: as a strategy and as a feeling. As a strategy, it is the idea that we always strive to move forward. If we come up against a barrier, we must slip around it and move forward once more. As a feeling, it is the energy that we feel through our bodies. We are relaxed, but energized throughout the whole body, and especially the guard. When forward intention is practiced and internalized, it becomes much easier to defend, attack, and affect our opponent’s stance and stability. Economy of motion is basically about performing the least amount of movement to achieve the desired result. Economy of motion is basically about performing the least amount of movement to achieve the desired result. If we can deflect an attack by moving our hand 2 inches, or by moving it a foot, which makes more sense to do? This is especially true if we want to use that same hand to throw a counter attack, or if our opponent throws a second attack in quick succession. The less one moves to get the desired result, the more options one has and the better the position one is in subsequent to that movement. Economy of motion is about “trimming the fat”. When we use economy of motion, we are much more prepared for everything that comes after. And victory loves preparation*. 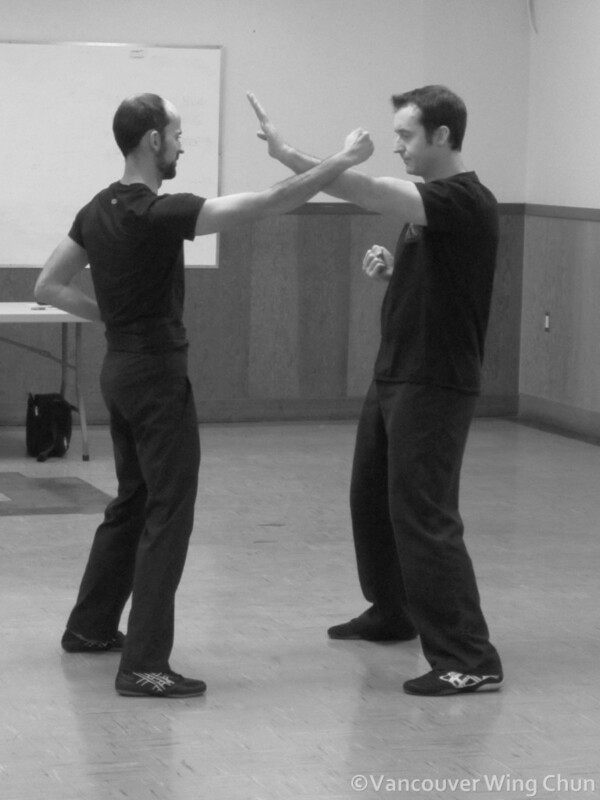 Awareness is feedback, and it allows us to monitor ourselves for the other principles of Wing Chun. This principle isn’t on everyone’s list. Also known as sensitivity, awareness is one of the key components of good chi sao. However, awareness can be applied not only to your opponent, but to yourself as well. 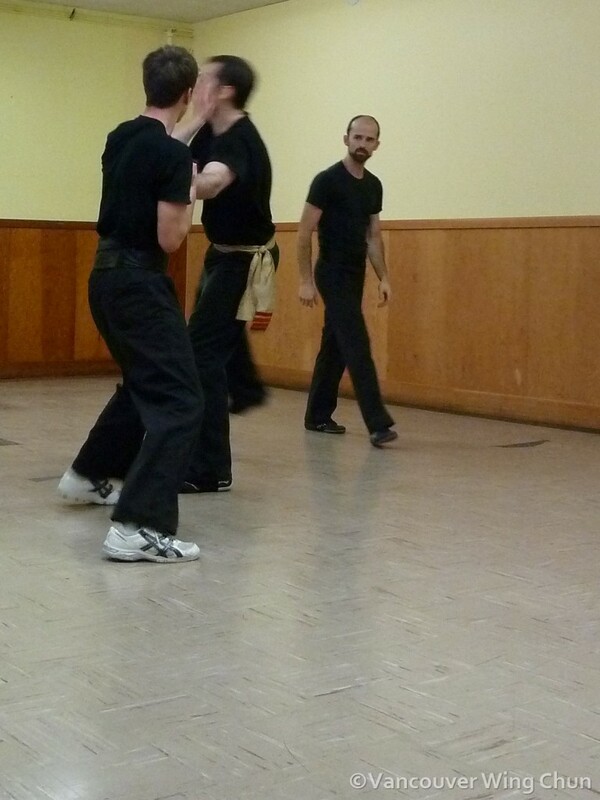 Awareness is feedback, and it allows us to monitor ourselves for the other principles of Wing Chun. Is our structure solid, are we utilizing the centerline, do we have forward intention, are we using economy of motion, is what we are doing simple? In chi sao, we take that same awareness and apply it to our opponent. We ask all the same questions, but of the other rather than of ourselves. Like feedback, awareness allows us to make small changes to the system that have great overall effect. Although the principles remain constant, our interpretation of them varies over time and with experience. Maybe you have a different interpretation than I do of the principles, or perhaps you have a completely different list altogether. What are your Wing Chun principles and how do you define them? I look forward to reading your responses in the comments section below! Note that these principles hold true not just in the context of martial arts. Their value is seen most often in our day-to-day lives. My next blog post will describe how the principles listed above apply to everyday life. Stay tuned! *This comes from the Latin saying “Amat victoria curam”, or “Victory loves carefulness”. Carefulness doesn’t sound quite right in this context in English, so it’s sometimes translated as “Victory loves careful preparation” or more simply, “Victory loves preparation”. This entry was posted in Wing Chun Principles and tagged Awareness, Centreline, Economy of Motion, Fighting, Forward Intention, Kung Fu, Martial Arts, Self Defense, Simplicity, Structure, Wing Chun. Bookmark the permalink.